2014 (Oct. 18 - Nov. 29) "Robinson Fredenthal: Small Cast Metal Sculptures"
2002 “Off the Wall”, Kroiz Gallery, Architectural Archives, University of Penn., Phila., PA.
1999 “Robinson Fredenthal”, Slovic, 244 South 12th St., Philadelphia, PA.
1995 “Robinson Fredenthal”, Westtown Arts Center Gallery, Westtown, PA.
1988 “Big Plus”, Morris Gallery, Pennsylvania Academy of the Arts, Philadelphia, PA.
1986 “Elbow Room“, Rosenwald-Wolf Gallery, Philadelphia Colleges of the Arts, Philadelphia, PA.
1984 “The Gift of Art”, Arthur Ross Gallery, University of Penn., Philadelphia, PA.
1983 “Bits & Pieces”, Faculty Club, University of Penn., Philadelphia, PA.
1979 “Robinson Fredenthal”, The Reading Public Museum and Art Gallery, Reading, PA.
Coinciding with the installation of the public sculpture “Gate” for the city of Reading, PA.
1976 “Robinson Fredenthal”, Shipley School, Bryn Mawr, PA.
1976 “Robinson Fredenthal”, American Institute of Architects, Philadelphia, PA.
1973 “Fredenthal”, Peale House Galleries, Pennsylvania Academy of Fine Arts, Philadelphia, PA.
1991 “Philadelphia Art Now: Artists Choose Artists”, Institute of Contemporary Art, Phila. Association Annual Conference, New York. 1984 Lectures & Workshops for architecture & sculpture students, Penn State U. 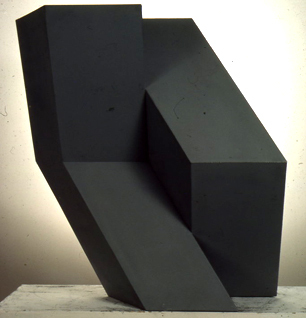 1984 Lectures for Professor Ann Tyng’s Theoretical Structures class, Graduate School of Fine Arts, University of Penn. 1967 Present Lecture/Seminars to all Foundation Program students, Philadelphia College of Art. The Philadelphia Inquirer Magazine, March 24, 1974, pp. 42-45. Courtney, Julie. Philadelphia Art Now: Artists Choose Artists, exhibition catalogue, 1991. Deming, Ruth. “A Career on a Roll.” Art Matters December-January 1984, pp. 1, 5. Sozanski, Edward J. 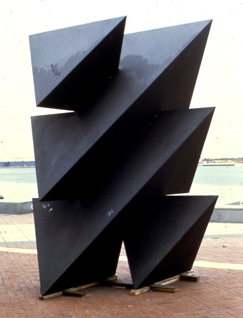 “Penn’s Landing Sculpture Show”, The Philadelphia Inquirer.